My mind was made up early on this year, after watching Jonathan Glazer's Under the Skin that nothing would beat this film as my favorite. And I was right. Audacious and cinematic, looking at humanity through the eyes of alien in the form of Scarlett Johansson, the film is a profound, hypnotic headtrip for sure. The sheer force of physicality of Love Battles is just mind-boggling. Unlike von Trier's hollow exercise on human sexuality, Doillon's grand experiment has real resonance and honesty that can't be duplicated. Pedro Costa does it again here with Horse Money. Bravely exorcising his non-actor subject's own past without guise or limitation. Perhaps the bravest of all filmmaker working today, Joshua Oppenheimer faces the evil from victim's point of view this time. The film is just as compelling and disturbing as last year's Act of Killing. Finally got to see a Lisandro Alonso film and happy to report that it is magical. I have a lot to explore from this Argentine auteur's filmography coming new year! Eden is a film of lasting impression. It gains its poignancy long after you watch the film. It's sprawling epic that is tender and touching and beautiful. This might end on my top 100 some day. 3D Godard! Certainly one of a kind experience. Perhaps the most entertaining non-Hollywood Hollywood film of the year. 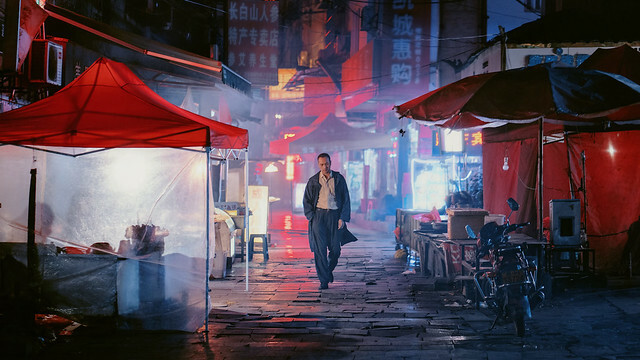 Biao Yinan's neo-noir is the whole package: handsomely crafted, compelling characters, great narrative pull - everything we want in films. It reminds us that Chinese cinema's future is not in mega million CG wu xia films but in low-budget independent filmmakers like Biao Yinan, Li Yang, Lou Ye, Jia Zhangke, Ying Liang and so on. Breillat's stroke didn't stop from her from making a brilliant depiction of a sexual power game. It made even better.